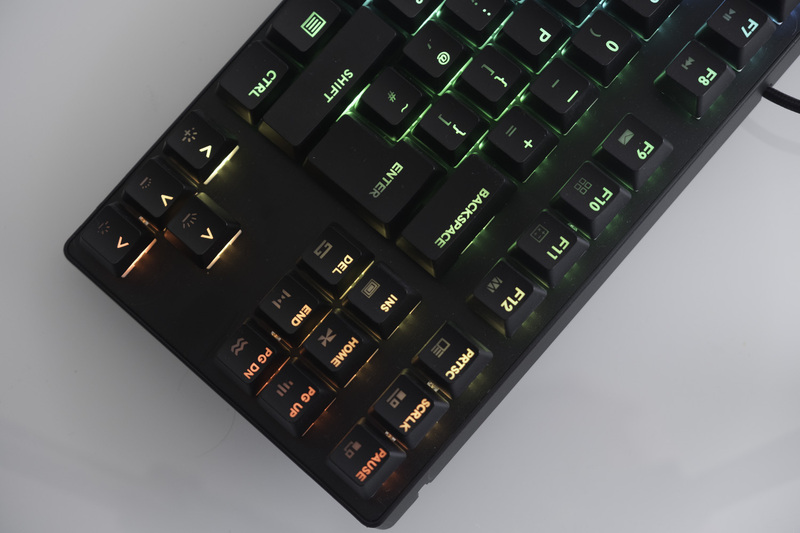 The Tyrfing V2 is a pretty complete package: a range of mechanical switches, RGB backlighting, a compact tenkeyless layout, macro keys, media keys and N-key rollover. Is this the best mechanical keyboard for $60 or less? Let’s find out! 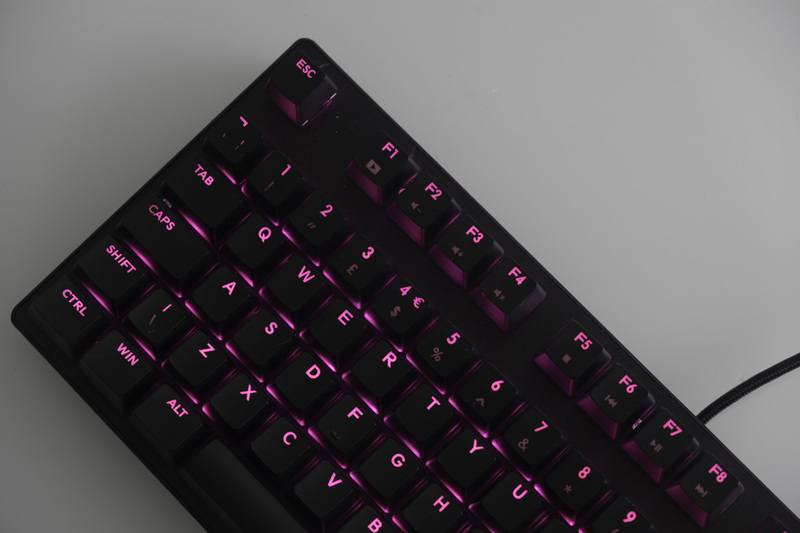 The Tyrfing V2 is an elegant tenkeyless keyboard, with plate-mounted Cherry MX-style mechanical switches produced by Outemu floating above a black metal base. You have the option for Brown, Blue, Red or Black switches, which are tactile, clicky, soft linear and linear, respectively. Each switch is topped by an ABS keycap, with lasered legends that allow the RGB backlighting beneath to shine through. Unlike most other mechanical keyboards, Drevo have selected a stylish capitalised typeface to label their keycaps, and have opted to spell out most keys (e.g. the Windows key is WIN, not a Windows symbol). This produces a consistent and stylish look. A function key in the lower right allows the use of five macro keys. There are also media keys, volume controls, PC shortcuts and a Windows lock key accessible via the same function layer. 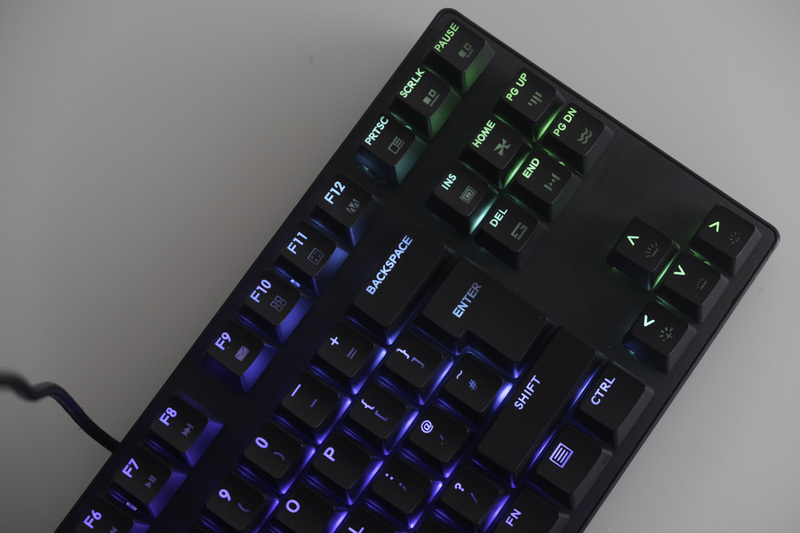 The backlighting controls are located on the right side of the keyboard; it’s possible to switch between 14 different modes, adjust the speed and brightness of the animation, as well as choose from “9 highly recognisable colours”. No software is required to configure the keyboard, which is very handy. One particularly nice touch is that the keyboard’s backlighting will change when the function key is pressed, showing you which keys have secondary functions. 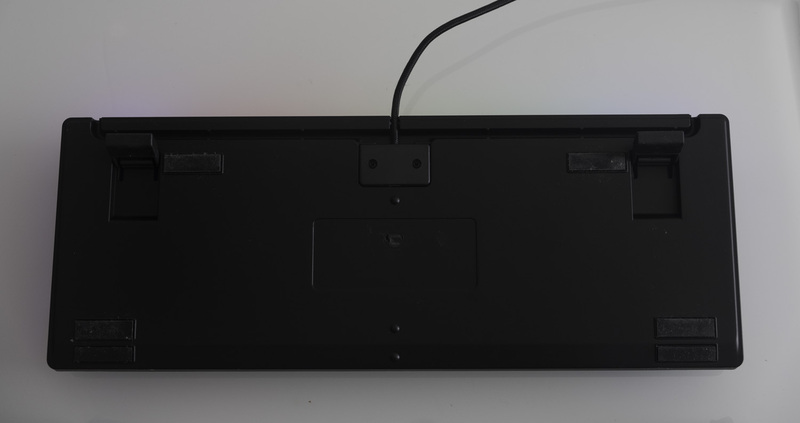 The bottom of the keyboard reveals three potential channels for the braided USB cable: left, centre and right. This isn’t entirely necessary for most setups, but it’s a nice inclusion nonetheless. You can also choose to use little flip-out legs to angle the keyboard, or use it flat — ergonomically, I would suggest the latter option. We used the Tyrfing V2 as our primary keyboard for a period of one week, replacing a similarly-sized Input Club K-Type. Our review unit came with Brown switches, which offer a low actuation weight and satisfying tactile feedback. This makes Browns a nice middle-ground switch, good for both typing and gaming, although this is largely a matter of personal preference. We also found that the switches produced a noticeable ping sound during rapid typing, although this is common to many keyboards and not a dealbreaker in our eyes. The ABS keycaps had a pleasingly smooth texture, and their low weight produces a nice feel when typing. 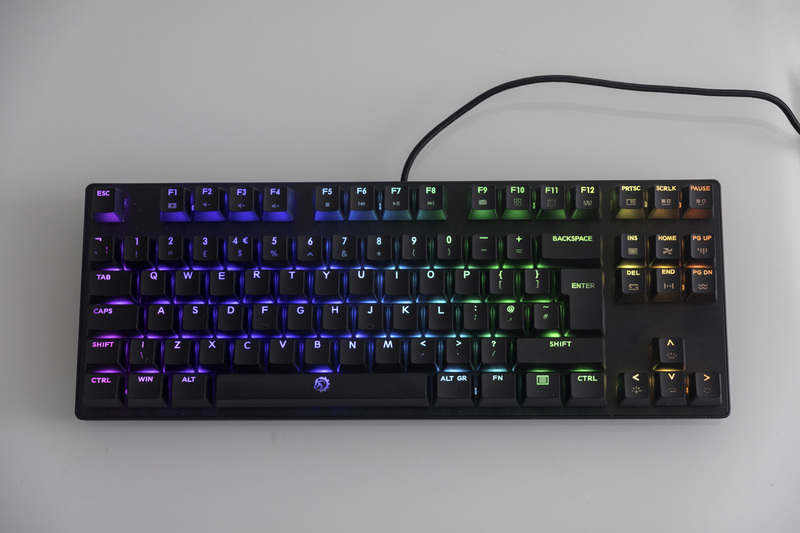 However, PBT keycaps are seemingly preferred by many mechanical keyboard enthusiasts (and Drevo make these too; stay tuned for our review). The lighting modes on offer are good value. The keyboard has a nice little animation when it first starts up, with the keyboard gradually lighting up from the outside in. Afterwards, you have your choice of a rainbow wave, a colour-changing clockwise rotation, a ricochet of colour, a raindrop effect, etc etc. You can also have these modes activated at the same time as a base colour, so you can have raindrops falling along a blue backdrop, for instance. The Tyrfing V2 is an excellent keyboard, offering exceptional value for money at the $60 level. 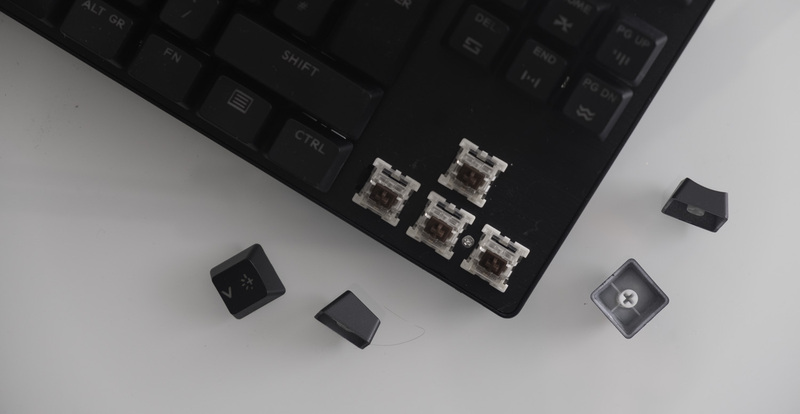 We have certainly seen cheaper mechanical keyboards on the market in recent years, but all of these displayed one or more significant flaws: unusual layouts, weird stylistic missteps or disappointing build quality issues. 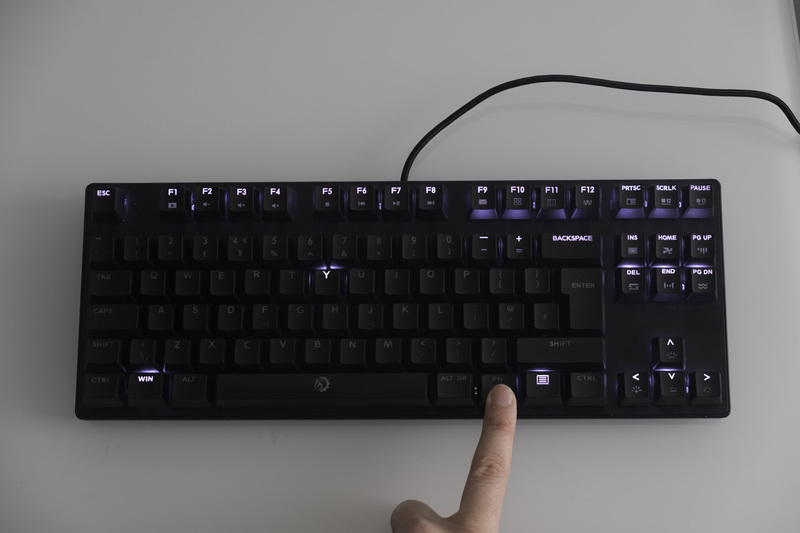 Conversely, the Tyrfing V2 doesn’t suffer from any significant issues, while hitting all of the most important points: a choice of all four common Cherry MX-style switches, well-implemented RGB backlighting and a compact yet convenient tenkeyless layout. This is a keyboard that you could recommend to almost anyone. Ultimately, we’re happy to make it official: this is the best mechanical keyboard you can find for $60! Odd question, but since the symbols are are underneath the numbers on the keyboard, does this mean you have to press shift to access the numbers? No, that would be crazy-difficult. It’s merely a cosmetic change to ensure that the numbers are well-lit. Thanks for the reply, I’ve actually bought the keyboard since.